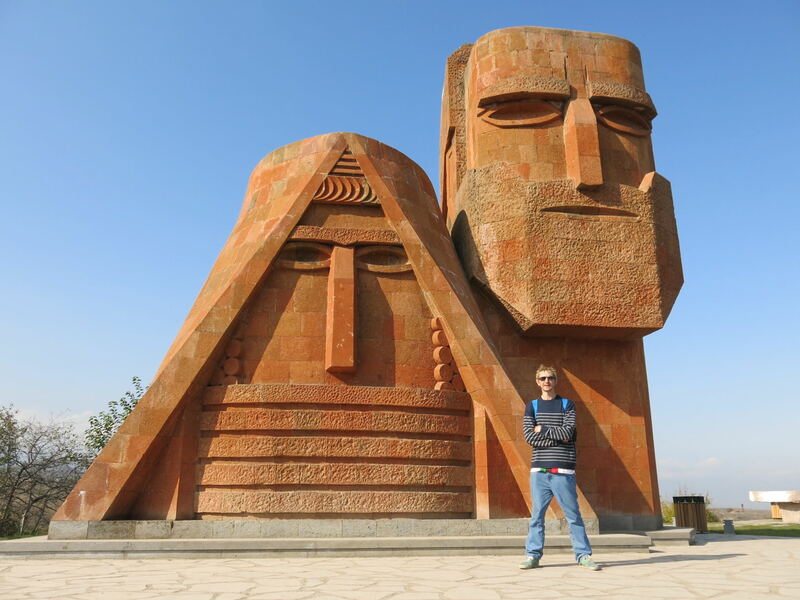 The tiny republic of Nagorno Karabakh is easily one of the oddest places I have ever been. It completely feels like a separate country here. It should be and while I’ll certainly class it as a country on my own terms having seen the place with my eyes, United Nations and FIFA still don’t recognise it. In fact only Armenia really recognise Nagorno Karabakh as a country. I really recommend a visit. 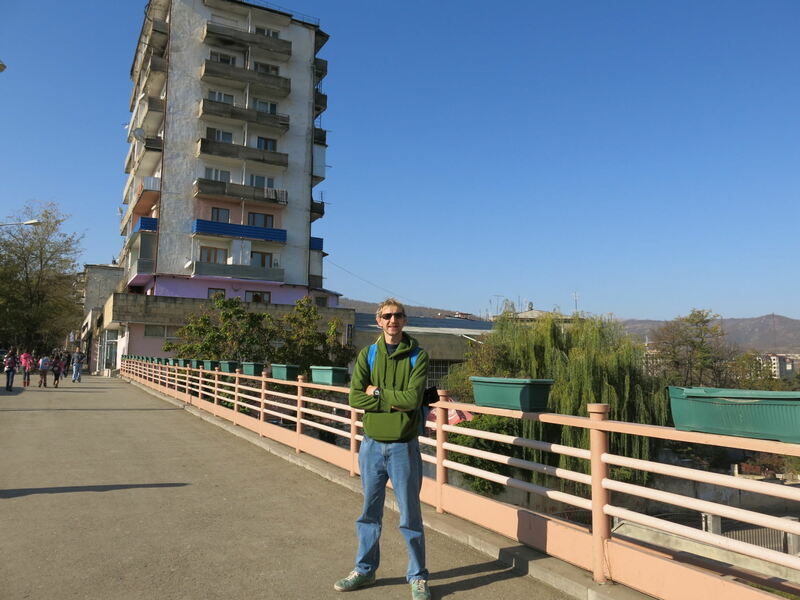 At some point you will end up in the capital city – Stepanakert – again a very odd city which you will get used to. Here are my top 13 sights from around the capital, not including our side trips to Gandzasar, Vank, Askeran and Agdam. 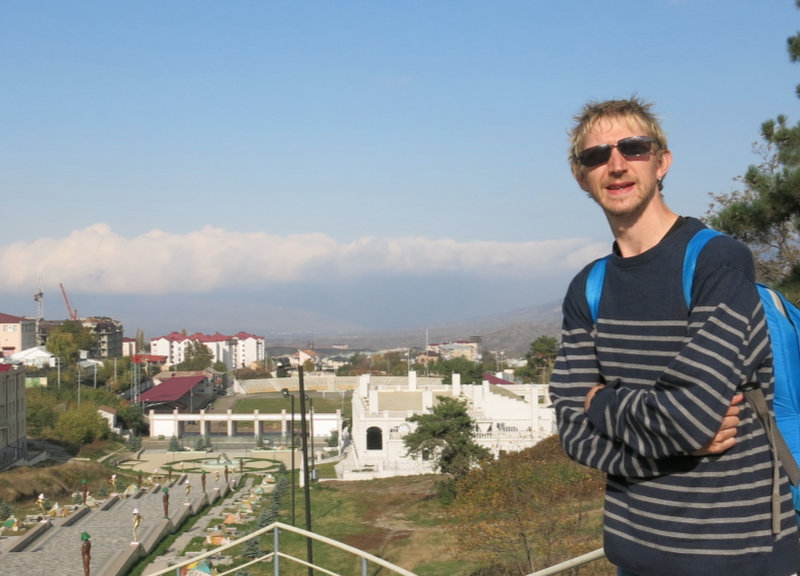 Backpacking in Nagorno Karabakh – checking out Papik Tatik in Stepanakert. The only way to get to Nagorno Karabakh is currently overland through Armenia (with a short drive over Azerbaijan land illegally on route). The Armenia to Nagorno Karabakh border is a relatively straight forward affair. 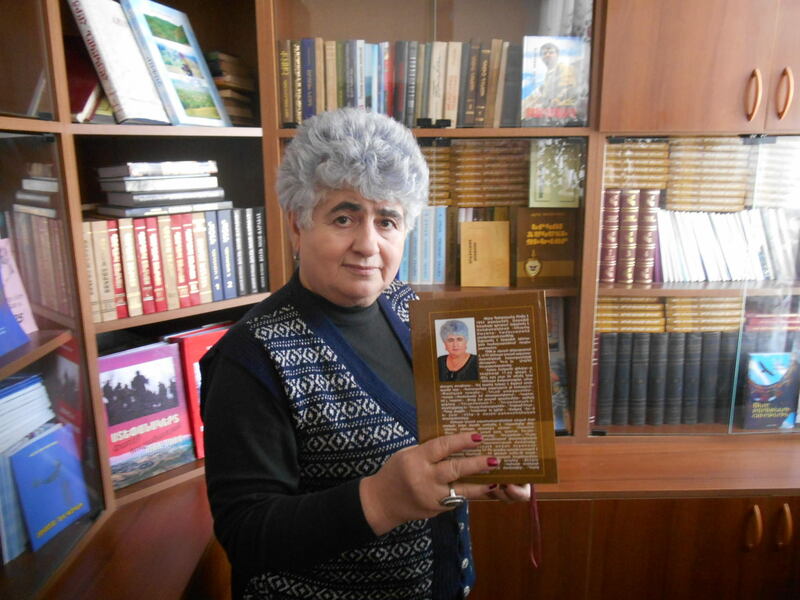 There is an “international airport” called Mayraberd about 10 kilometres from Stepanakert but at the time of writing, no scheduled flights are operating from it. 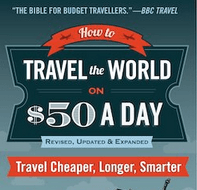 We stayed with a local family in a suburb and loved it. 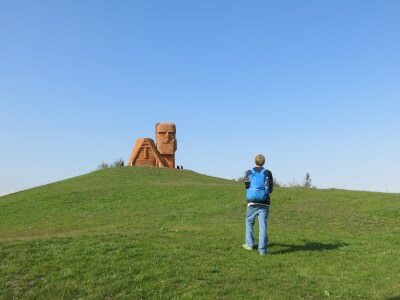 I’ve written about Nagorno Karabakh before, but here are my top 13 things to see and do when backpacking in Stepanakert, the capital city. Backpacking through Stepanakert, capital city of Nagorno Karabakh. A visit to the Ministry of Foreign Affairs is a really cool thing to do – how many countries have you been to that you need a visa to visit but you don’t have to get it until you get to the capital city? I’d already spent a night in Nagorno Karabakh before I even got my visa! 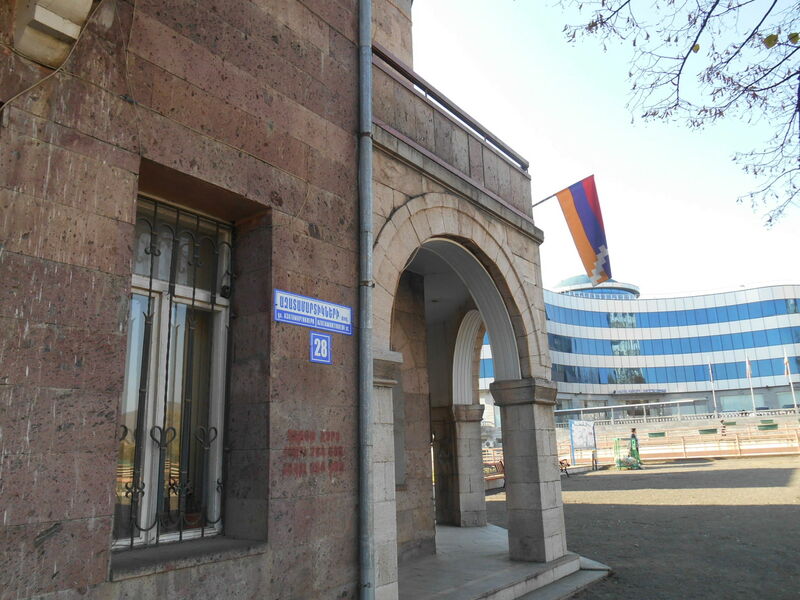 Head to the ministry of Foreign Affairs on the main street in Stepanakert and get your Nagorno Karabakh Visa. The Ministry of Foreign Affairs also doubles up as a mini museum – when you are filling out your visa application, check the information on the history of the country on the walls and get an understanding into exactly what Nagorno Karabakh/Artsakh is. Artsakh, by the way is another name for Nagorno Karabakh. Both names appear on your visa. 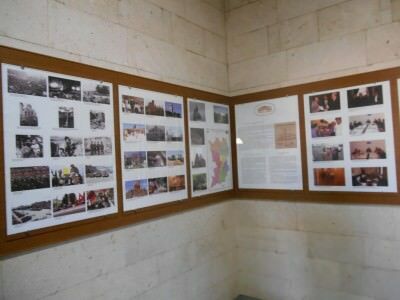 Information on the history of Nagorno Karabakh on the walls. This is the national monument. It can easily be walked to from the centre of the city, down a hill. Papik Tatitk translates as Grandmother and Grandfather and is basically a large monument made of rock and brick. When you look at it, is resembles the head stones from Easter Island, however it was built in 1967. The name of the statue translates as “We are our mountains”. 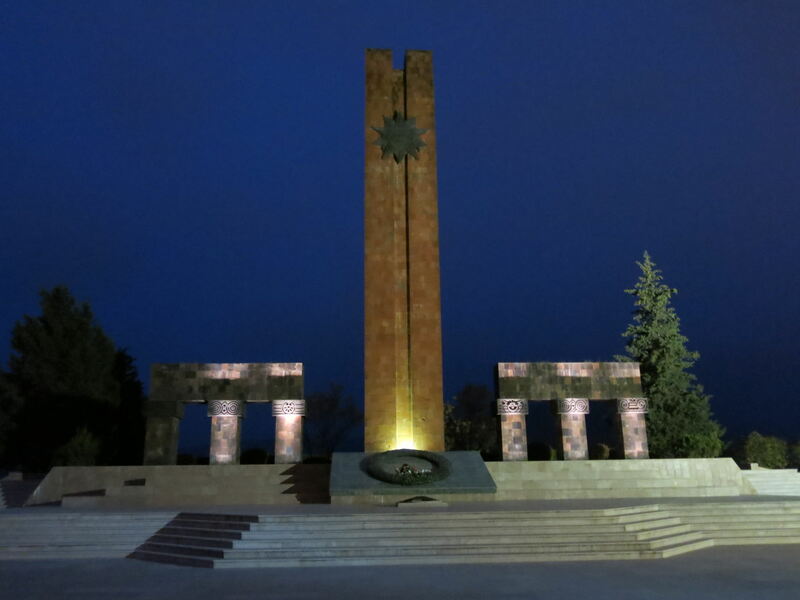 Azerbaijanis are incensed by the existence of the statue – it’s the Nagorno Karabakhans stamping their authority and trying to prove they are a legitimate nation, which after the Karabakh war they seemingly are. I’m actually not normally a fan of museums, but I went wild in Nagorno Karabakh and visited all three of the main ones in Stepanakert! For a small city like this, I think it’s a good idea. All museums are free of course and all very walkable in the city centre. 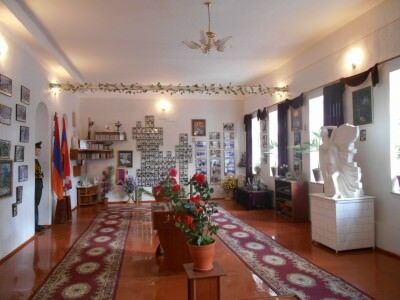 Inside the Artsakh State Museum in Stepanakert, Nagorno Karabakh. 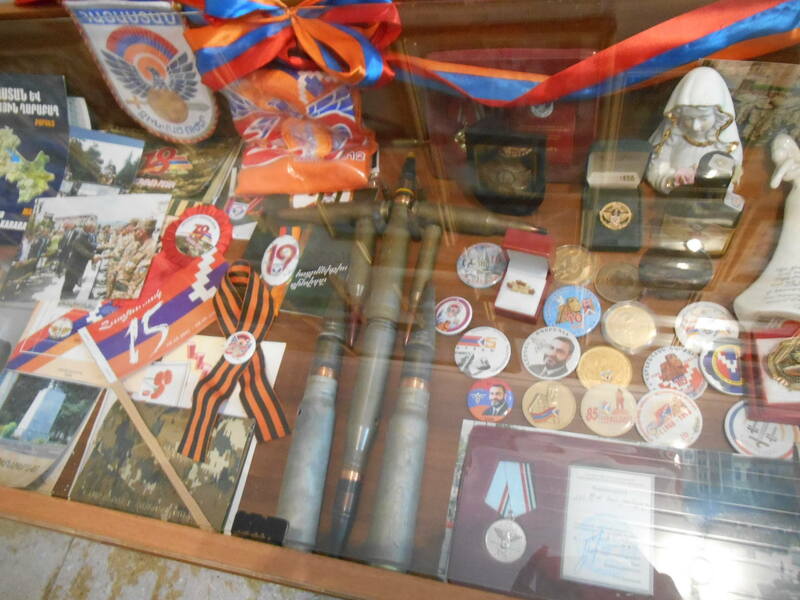 The Artsakh State Museum goes into detail on the Karabakh War with a load of keepsakes and weaponry. 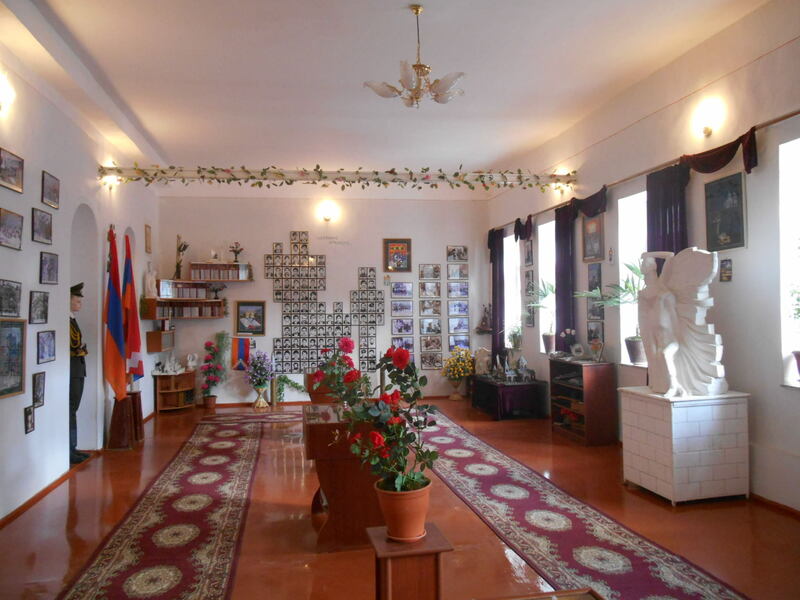 You’ll notice a military theme going on here in my Stepanakert top 13 – this museum is full on. Hundreds of photos of soldiers everywhere – lots of war weaponry. It has a few rooms and the weirdest thing for me was – there was nobody else about – not even a person on the door so I just wandered in on my own. In fact I even had to turn the lights on to see all the memorabilia. 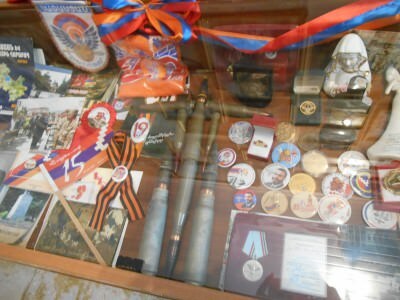 One of many displays in the museum of Fallen Soldiers in Stepanakert, Nagorno Karabakh. Yet another military museum and this one tracks those soldiers from the Karabakh war who are “missing”. 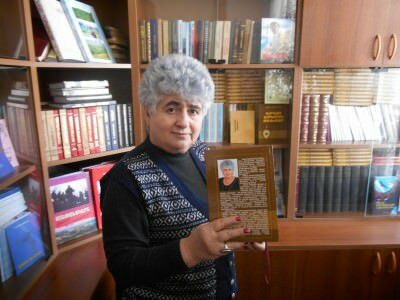 They were either killed or fleed to Azerbaijan or Armenia. It was a bloody war with a lot of deaths. My trip to the Museum of Missing Soldiers was very interesting as the lady working there has a missing son (or husband?) 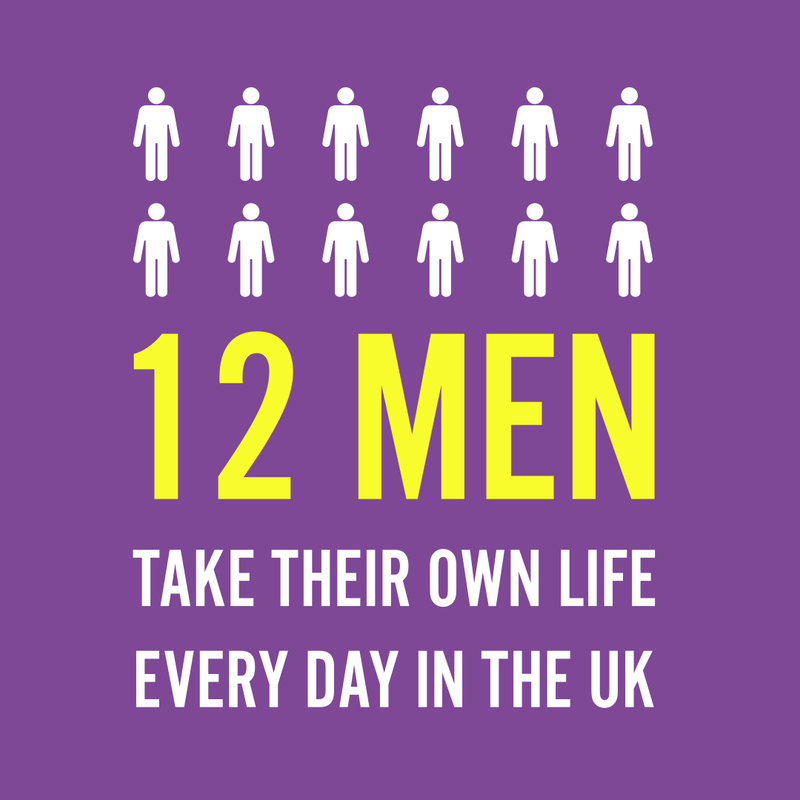 and has written a book about it. She posed my the book, posed by my Northern Ireland flag, spoke some English to me, gave me a guided tour and on the way out she gave me a bottle of vodka with a snake in it! Crazy stuff. As its a republic, it has a Presidential Building which you can check out from the outside. The flags are alternated between Nagorno Karabakh flags and Armenian ones. 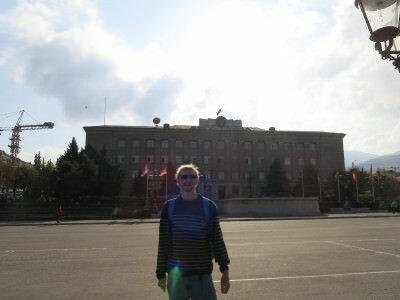 Outside the Presidential Building in Stepanakert, Nagorno Karabakh. You will be thinking “what?” at this point. Surely Nagorno Karabakh don’t have a national football team. 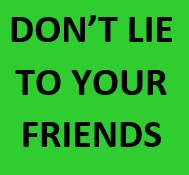 Well they do, and although not a member of FIFA they have played a few matches, most famously they beat Abkhazia 3-0 at home. In fact they are unbeaten in Stepanakert! Yes! There is one post office in Stepanakert and you can get a postcard from this unique republic and post it!! 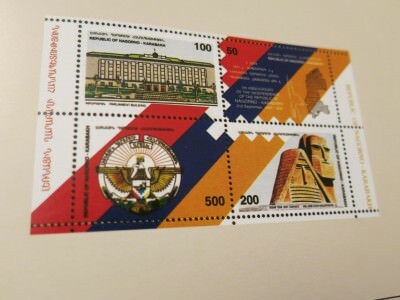 One for the stamp collectors too – how often do you get a stamp from Nagorno Karabakh? 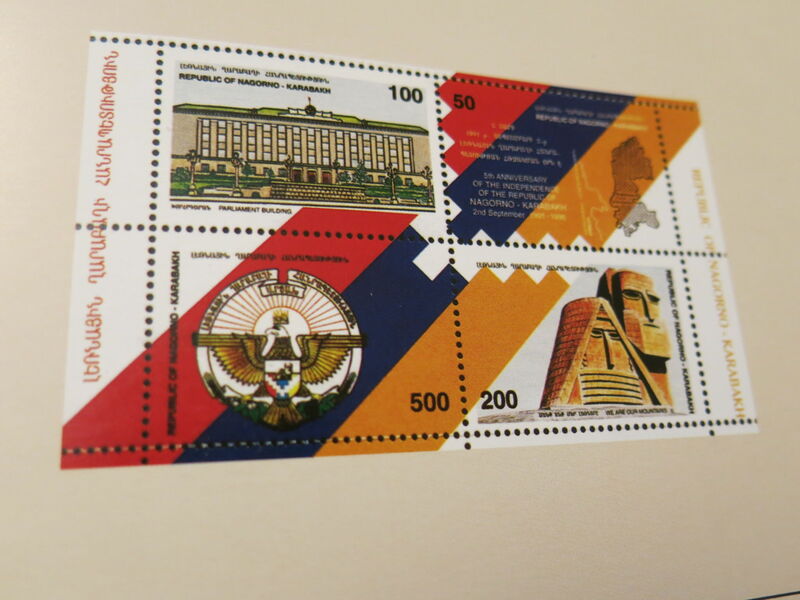 Get some rare authentic Nagorno Karabakh stamps! Near our homestay there was an Obelisk and a Memorial Park which we visited – it’s a bit out of the way from the city centre but worth a visit out to. 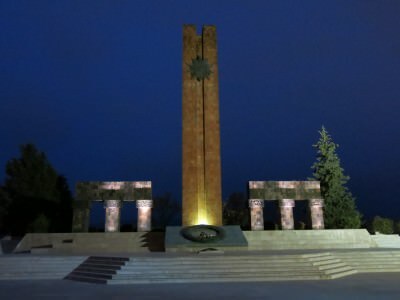 The Obelisk and Memorial in Stepanakert, Nagorno Karabakh. As well as checking out the Presidential Palace, just across from it is the National Assembly where the politicians meet. It’s heavily guarded and you can’t really go inside but it’s worth a look from the outside! 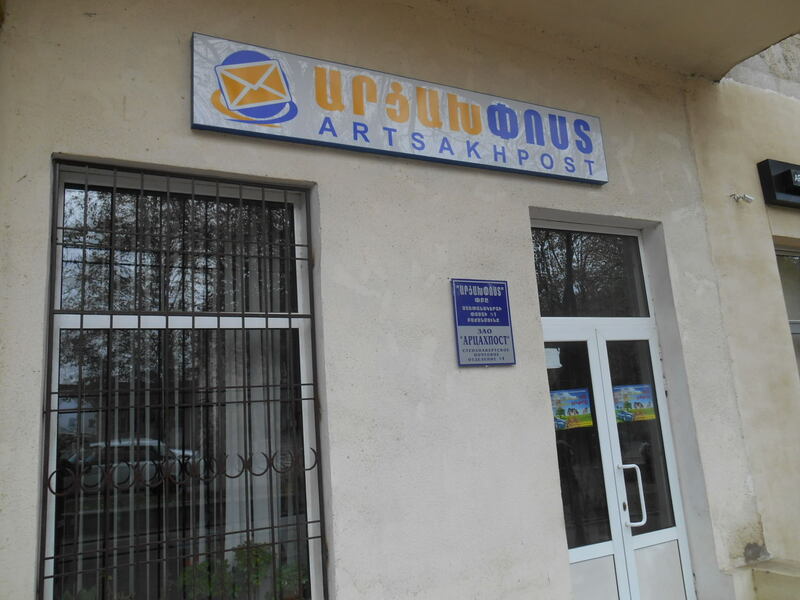 I admit there isn’t one standout souvenir shop and things can change, but we found a good one on the main street, Azatamartikneri Poghots – good to pick up postcards, flags and souvenirs. 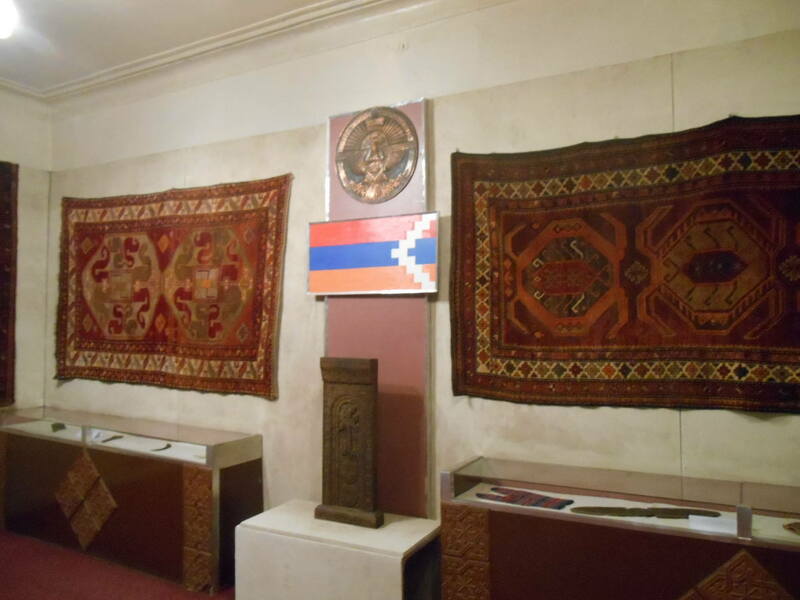 My souvenirs from my stay in Nagorno Karabakh! No former USSR communist country visit would be complete without seeing a square or roundabout with monuments on it. 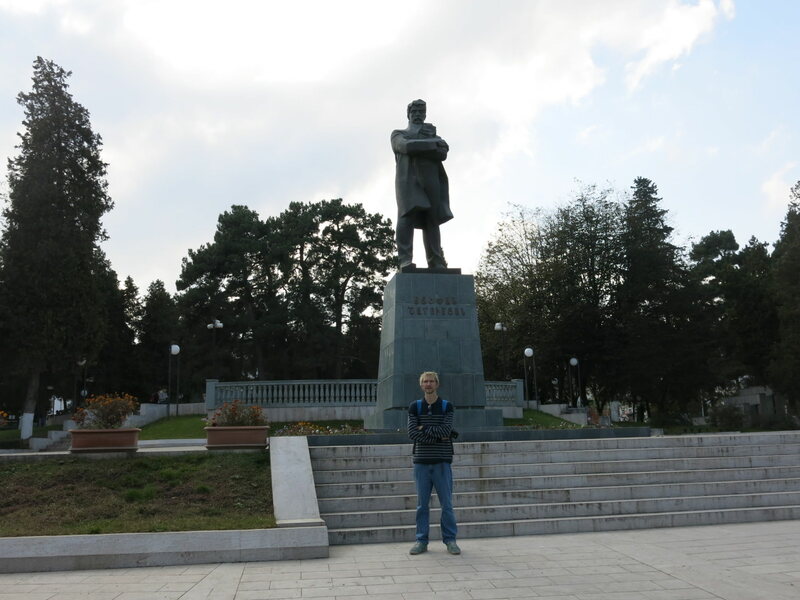 Stepanakert doesn’t show many signs of the old regime, but statues here do remind me of my time backpacking in Belarus and Russia. The lucky 13th and not least – Tashir Pizza! 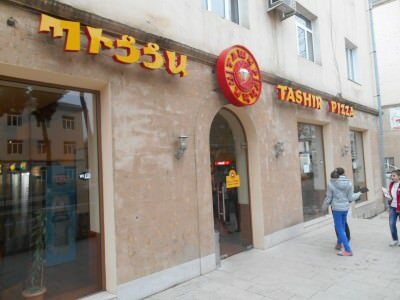 When you backpack in countries as ridiculous as this, after a few days it’s nice to have the comfort of a beer, pizza and wi-fi and hence I’ve included the cool Tashir Pizza restaurant in my top 13! There are a few other spots worth checking out as we did but these were the main top 13 that I enjoyed. I haven’t written about the homestay yet so hopefully get round to it at some point. In terms of odd places and strange capital cities, this is definitely up there. 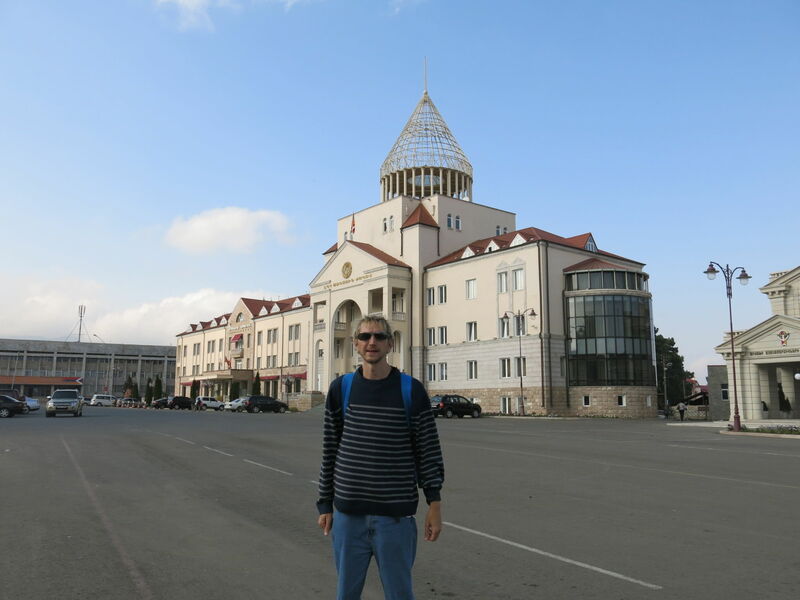 Backpacking in Stepanakert, Nagorno Karabakh – where? 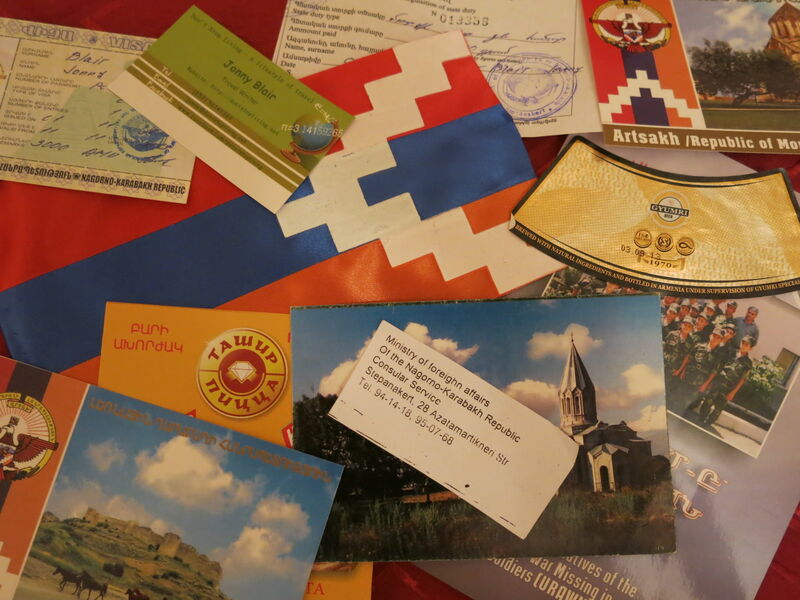 This entry was posted in Central Asia/Middle East, Destinations, Lists, My Top 5s, Nagorno Karabakh, Stepanakert. Bookmark the permalink.